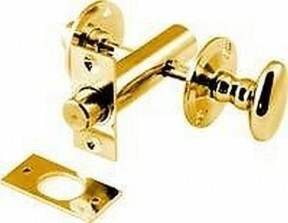 Polished brass bathroom door lock set, available with fixing screws and includes an emergency release. This bathroom door lock is not only attractive but also includes a 10 year guarantee for your buying peace of mind. What is he back set ?